ABS Deck-Cargo Barges for Charter. In current service with all certs current. 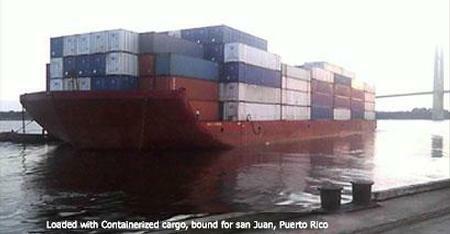 The barges are designed to handle ro-ro, flo-flo, breakbulk, and container cargoes. They can be ballasted down for semi-submersible work by external pumps. They can carry portable ro-ro ramps. They have extensive experience in oilfield work as well as transporting large crane systems, smaller inland vessels, and project cargoes both worldwide and domestically.Should your cargo need to be containerized, the barges are set up for 53-foot long containers, and can be stacked up to five high. Other container sizes can also be accommodated. UUS Flag, Jones Act Qualified, 400 Ft. x 100 Ft., ABS Classed, Ocean-Going Deck Barges.US Flag, Jones Act Qualified, 400 Ft. x 100 Ft., ABS Classed, Ocean-Going Deck Barges.Owners also have access to a 275 Ton / 290 Ft. Heavy Lift Boom Crawler Crane which can be paired with these barges for any/all opportunities. LENGTH: 402 FT. / 122.61 MT. BEAM: 100 FT. / 30.5 MT. 379 FT. / 115.6 MT.